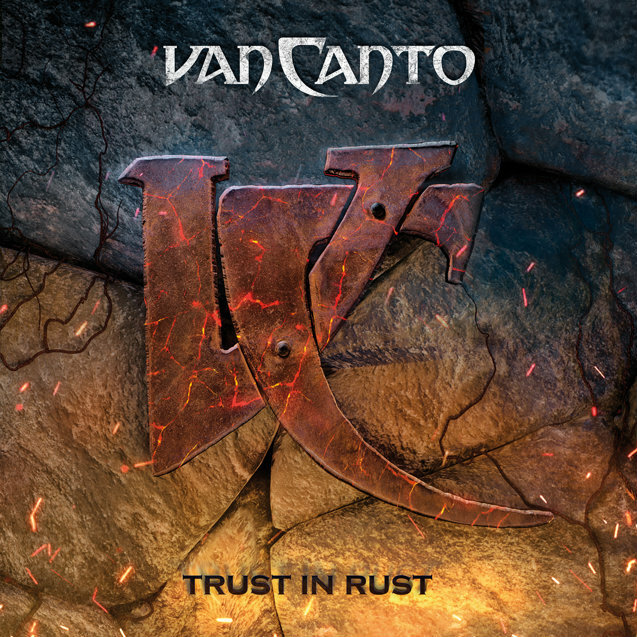 On August 10, German a cappella metal band VAN CANTO will release its seventh studio album, "Trust In Rust", via Napalm Records. The official lyric video for the disc's opening track, "Back In The Lead", can be seen below. Since 2006, they have brought pure vocal power to the metal world. Now made up of seven members, VAN VANTO's "Trust In Rust" covers a wide stylistic range, from melodic to bombastic, showcasing the band's takes on ballads, hard rock ballbreakers and speed metal anthems. Covers, ranging from HELLOWEEN's "Ride The Sky" (featuring HELLOWEEN's Kai Hansen) to AC/DC's "Hells Bells", give listeners a completely fresh glimpse at the vocal crew. The sound of "Trust In Rust" reflects VAN CANTO's varied experiences on the road with unbroken power and passion for the human voice in heavy metal. VAN VANTO comments on the new album: "If you release seven albums in 12 years, you aren't able to rust. Nevertheless, the new album is rougher and more metal. It's a composite work of all seven bandmembers, full of new ideas but without losing the good old VAN CANTO style. We are still excited about what we are doing and believe in ourselves — 'Trust in Rust'!"